After being released from jail, she ignored the judge's orders that she is prohibited from participating in any HR or fraudulent activities and is now even turning in her own clients for reward monies if they make any waves for her or threaten to go to CCTV News or the police. This is a contract typically used by Tang's group and it is not only a one sided contract - it is an illegal contract according to China's Labor laws https://myalbum.com/album/Qt6TWGP0olx3 (click on our contract tips link at the top of this page for more details). The only business license every held by Rebecca Tang was a technology company she bought from a third party. NONE of the below companies have a SAIC business license, nor are licensed with the Beijing Tax Bureau nor with SAFEA, the Chinese government agency that now insists that all of these companies are NOT authorized to recruit nor hire any foreign employees in China. 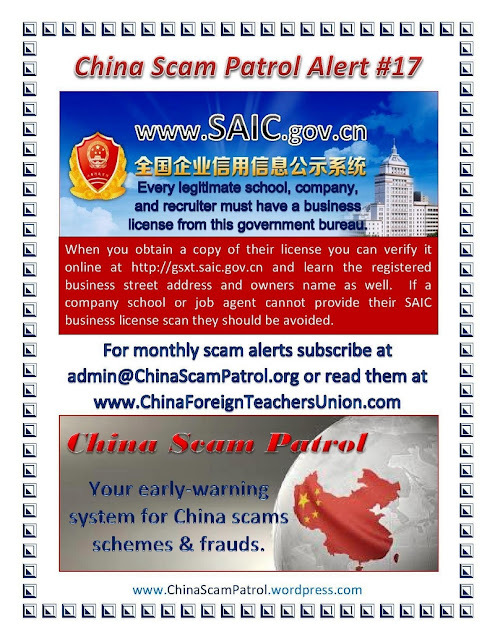 The CFTU will begin blacklisting any school, agent, or job recruiter that participates in any way with this criminal enterprise and report them to the Chinese authorities as well since Rosie Tang continues to not only cheat and exploit teachers but puts them at risk of arrest and deportation by falsely telling China teacher applicants that they can work legally in China without a Z visa and without a University Degree. THIS IS ABSOLUTELY FALSE as any U.S. or Chinese embassy or consulate can confirm. You can also confirm this by calling the SAFEA office in Beijing at 86-010-6894-8899.
where can I get real honest answers regarding teaching jobs in China? After reading all this info, I'm kinda worried I've given too much info to the company I've been communicating with thus far. I live in Canada and this company is in New York. Not sure what to do next. Any advice? BEWARE!!!! I was offered and signed a contract with a "rosie" run company. 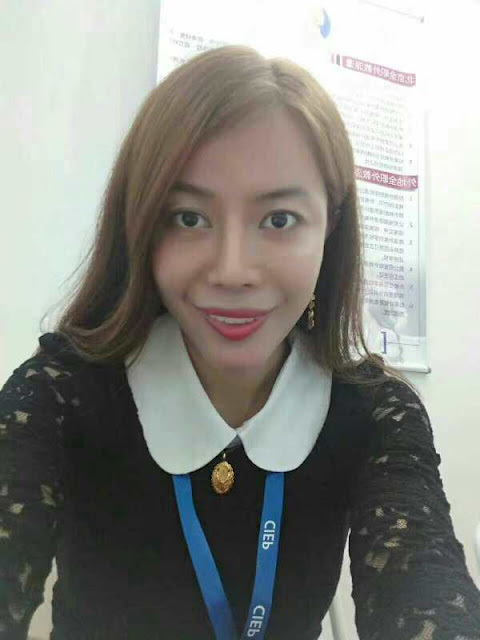 The company is called foreignerHR and I spoke with a lady called Rita Tao. Things weren't adding up, they told me to go to China on a tourist visa and that they would change this to a Z visa. Which is unlikely because I am 19 with no uni degree! After I told Rita I was not prepared to fly under a tourist visa she told me I was contractually obliged to, I laughed, this was the one part of the contract I had had amended. This made me a start researching online. I emailed "Rita" and told her i was concerned about the visa and she put me in touch with a girl called Shannon who told me Rosie was a great help to her. That name sent alarm bells off in my head. My main concern that was they had a copy of my passport and that they could use that to set up fake credit card accounts. So a quick call to the Passport office and an even quicker transfer to the serious fraud office, who I was asked to give an official report and asked to keep a copy of everything. BEWARE OF THIS SCAM. THIS WOMAN WILL MESS YOU OVER. YOU WILL BE ARRESTED.